Ellen Degeneres is one of the most well-known comedians of our time and has grown her success within the last decade through her talk show The Ellen Degeneres Show. Through the many years that the show has been on the air, it has won over 80 awards. Besides being a comedian Ellen is also a writer, producer, and actress and in 2019, Ellen DeGeneres’ net worth is approximately $450 million. Ellen DeGeneres was born in Metairie, Louisiana on the 26th of January, 1958. When she was a teenager, her parents divorced. Ellen attended Grace King High School and Atlanta High School in Atlanta, Texas and later returned to Louisiana for college and attended The University of New Orleans. Not long after, Ellen dropped out of college and began working numerous random jobs to make ends meet. She worked as a waitress, bartender, and hostess before she found her true calling as a stand-up comedian. DeGeneres began doing stand-up comedy at clubs and coffee houses and gained more popularity quickly. In the 1980s she began traveling and doing comedy and the network ‘Showtime’ titled her as the ‘Funniest Person in America’. In 1986 she was invited to make an appearance on ‘The Tonight Show Starring Johnny Carson’ and soon after she gain a lot more recognition and her career really took off. She was featured on sitcoms including ‘Open House’ and ‘Laurie Hill’ and worked on the films ‘Ellen’s Energy Adventure’ and ‘Coneheads’ and was later asked to be on what would become her very own show ‘These Friends of Mine’. This led to the beginning of her next television sitcom, ‘The Ellen Show’, but it came to a close quickly because of its low ratings. In 2003 Ellen debut her most successful endeavor yet, ‘The Ellen Degeneres Show’ which has aired about 15 seasons and over 2,000 episodes and has won numerous awards. She has also been presented many awards for her voice over for the character Dory in ‘Finding Nemo’. As of 2019, Ellen DeGeneres’ net worth is $450 million. View our larger collection of the best Ellen DeGeneres quotes! Many of us will experience failure at one point or another, and failure is part of becoming successful. It helps you grow and gain perspective. 2. Don’t let anything stop you from accomplishing your goals. If you are truly committed and determined to accomplish your goals, then no obstacle should stop you. The best thing you can do for yourself is to keep moving forward and see what the future brings. Only you can make those dreams comes true, and all those barriers are minuscule in the grand scheme of things. Every day you learn something new, and keeping an open mind will let you discover and learn to appreciate new things that you could potentially benefit from in the end. New things can bring progress and innovation to your life, which is why you shouldn’t dismiss an idea or concept just because it’s out of your comfort zone. 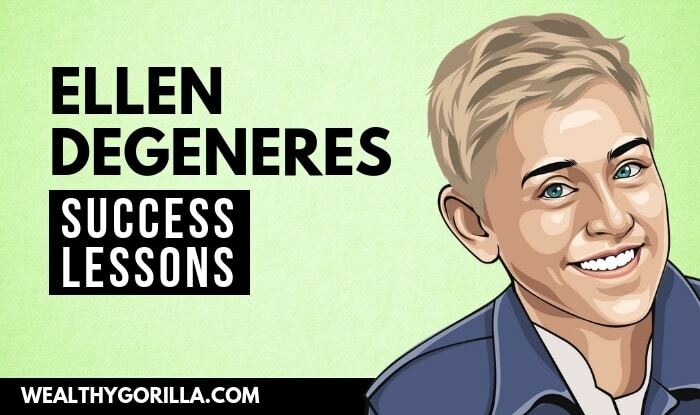 Ellen Degeneres is one of the most iconic and progressive women in Hollywood. As of 2019, Ellen DeGeneres’ net worth is approximately $450 million and will most likely earn much more money in years to come as she continues to grow in her industry. 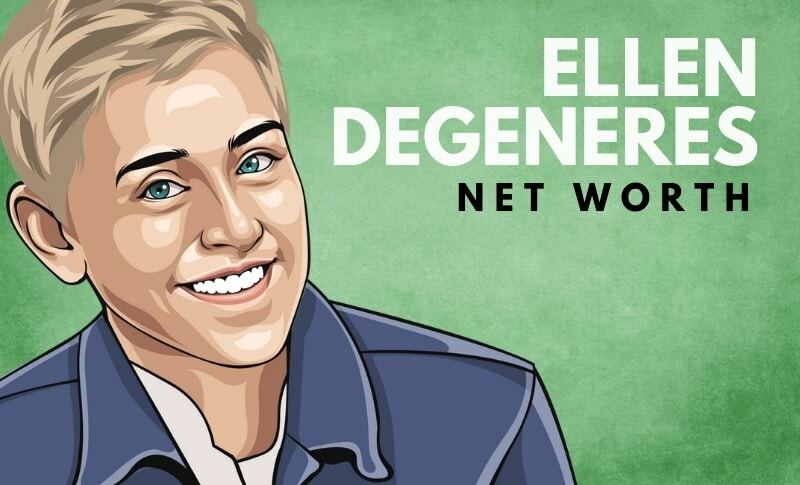 What do you think about Ellen DeGeneres’ net worth? Leave a comment below.